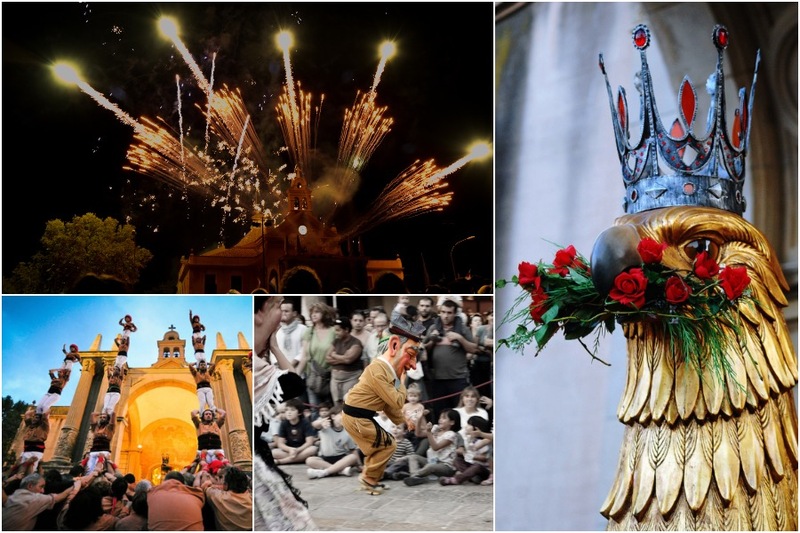 The Festivities of Misericordia in Reus are among the most important in the south of Catalonia and are organized around September 25. Despite being Reus’ second city celebration, it is a perfect opportunity to see Reus in full cultural and festive ebullition. The Mother of God attended the city in times of need or conflict, and since the sixteenth century the guilds and civil society began to organize events in her honor. Over the years, the Festivity grew until reaching the quantity of 20 festive events. However, only some religious traditions, the dance of devils and the "spoken" dance of the Mother of God are preserved from these 16th century festivities. Nowadays, the festivities last about 10 days and, as in every traditional city celebration, the city dresses up and organizes a great deal of events. Among them, the Rosary of the Torches or the dances of local associations are very relevant. As it could not be otherwise, there is also a performance of human towers, a dance of "devils" and the dance of the city Eagle. During the night there is also a "correfoc", a parade of fireworks and "devils".